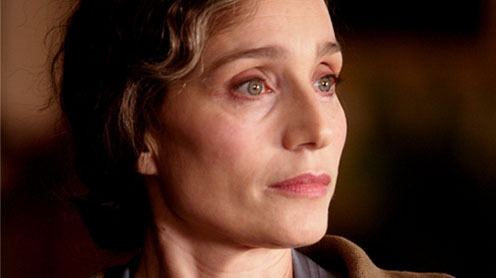 Kristin Scott Thomas stars in Sarah's Key. Based on Tatiana de Rosnay’s best-selling novel , the 2010 mystery war film Sarah’s Key stars Oscar nominee Kristin Scott Thomas (The English Patient) and features a co-starring turn by Aidan Quinn (Handsome Harry). The movie tells the story of Julia Jarmond (Thomas), an American journalist living in Paris with her French husband Bertrand (Frédéric Pierrot), who is assigned to cover the anniversary of France’s notorious 1942 Vel’ d’Hiv Roundup of Jews in World War II. Jarmond is stunned to discover that Bertrand’s family apartment was the scene of an unspeakable incident committed during the war and that his family has been concealing a disturbing secret. But there’s a young French girl, Sarah (Mélusine Mayance), who holds the key to unlock the devastating truth. Directed by Gilles Paquet-Brenner (Walled In) and acclaimed by the critics, the PG-13-rated Sarah’s Key opened on a limited basis in U.S. theaters in July 2011, where it grossed an impressive $6.6 million. Bonus features on the DVD and Blu-ray include a making-of featurette.